GDG Beijing is the oldest GDG chapter in China. Since 2009 when it first started, it has grown to current 500 members. Jackie Han and his fellow organizers discuss how to create a meetup content strategy, find great speakers, and share community management knowledge among members. They are operating in a unique environment and have come up with clever ways to localize Google content in order to make it available to Chinese developers. Why did you become involved in organizing GDG meetups? David: For most of us it was through a personal experience with the community. Usually it started with attending a DevFest and becoming an organizer afterwards. For some of us it was about looking to learn from peers when starting a career in Engineering. We’re happy to give back to the community as we remember how helpful it was for us to learn from other experienced members. 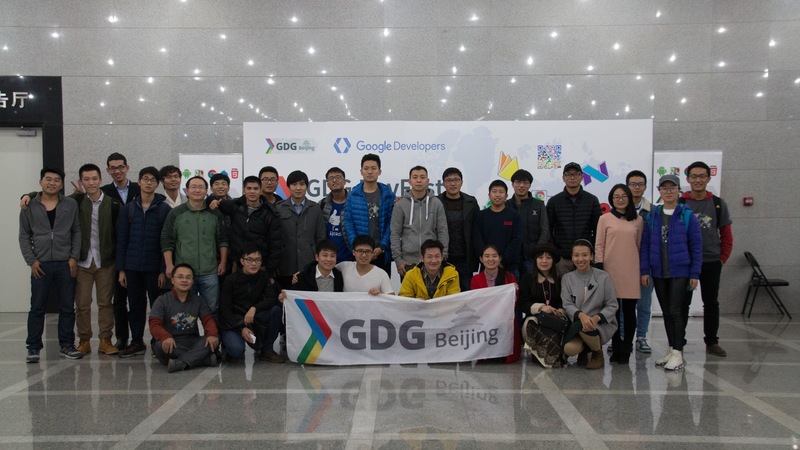 GDG Beijing is the oldest GDG chapter active in China since 2009. We currently have around 500 members on Meetup.com. There are 5K followers on our official WeChat account (WeChat is the most popular social tool in China) and our Weibo (similar to Twitter) has 11,7K followers. Our meetups usually attract around 100 people and our DevFests have ~750 attendees. How has being an organizer helped your personal and professional development? Yuan: It provides me with an opportunity to get in touch with Googlers and Google products. It's great to be able to have the most recent updates on APIs or other cutting edge information. Wenny: The social aspect of the community is of great importance to me. I made new friends and even met work colleagues through GDG activities. How do you find balance between being an organizer, work, and other things you have going on? Wenny: I believe that if something is your priority, you will find a way to do it. But you can't do everything by yourself. It's about teamwork and learning to delegate tasks. We try to divide our workload based on our skills. Some organizers are good in communicating with others, some are great technical experts. Empowering someone to do what they're best at is the way to do it. How do you decide who will take care of which task? Jackie: From our core team there are usually two main organizers in charge of a meetup or event. It's up to them to assess if they need additional help and also their responsibility to make sure everything necessary gets done in time for the event. What are some of the challenges you are facing at the moment in your chapter? David: It’s not news that we face limitations when accessing Google products in China. As for chapter management, most of the organizers feel a bit burned out because they have been organizing meetups for several years. With time their motivation decreases and we need some fresh “blood” among us. You mentioned some challenges - finding new organizers and incentives. Are you implementing any processes to solve this issue? Can you share any tips? Jackie: As for the incentives, there are limits to motivation via material things. For starters, it's not what GDG is about and it's also not sustainable. Having said that, we have some perks like Google I/O tickets that are a great reward for active members. I have a rule of “it doesn't matter what you promise, but what you actually do” that I go by when assessing contributions from individual people. I also set up a wiki as a knowledge base to help new organizers with everything regarding organizing an event. We try to share openly what we know about community management. It greatly increases trust and our bond with members. Yuan: Good speakers are usually visible in the online world. They make sure to advertise their experience and expertise. We either find them through our own personal network, friends, or through online search just by looking for keywords according to our meetup topic. Jackie: We want to bring the newest and hottest topics to our members. We as organizers try to be experts in different areas. There is a great variety of skills among us from web development, PWA, Android, ML/TensorFlow, to Linux and IoT. Wenny Yuan, one of our organizers, is an experienced community & Women Techmakers lead. She supports us in many non- technical aspects of community management. Tell us about a major learning moment in your community organizer life. Yuan: Attending Google I/O and talking to Googlers is definitely a highlight of my organizer ‘life’. I can share my ideas and get immediate feedback from those who develop the product. These live interactions provide so much more than than online resources as I’m able to see the bigger picture and have a better understanding of how Google’s products are developing. David: I was really nervous about speaking publicly. Thanks to GDG and regular meetups I was able to overcome this and have moved on to other challenges like hosting a whole event by myself. It's like knitting a sweater, you add one stitch to another to make it look smooth. Currently, I'm working on my ability to tell jokes (laugh). What achievements are you most proud of as an organizer? Jackie: I organized more than 43 GDG events, 25 of which as the main organizer and/or speaker including 4 DevFest events. Besides organizing or talking at GDG events, I created some useful tools for GDG organizers and launched a website for all GDGs in China which I also manage. Because YouTube is unavailable in China, I created a video channel that carries all Google Developers videos.